Created using expert filtration systems and the finest ingredients, THE Diet has been specially developed to help you with your weight-loss goals — giving you a delicious shake with pantothenic acid to boost energy and metabolism,​4 helping you get the most from training. Fully loaded with highly researched, diet-specific ingredients, THE Diet™ also comes in four great-tasting flavours. 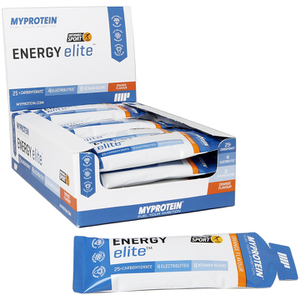 The premium-quality fast-and slow-release proteins are ideal post-workout, but also any time day or night to keep you topped up with the protein you need. To top THE Diet™ off, we’ve packed it with other popular plant extracts, such as matcha green tea and cinnamon, plus a powerful serving of Ganeden BC30® — a perfect probiotic to support your goals. Choline: helps to convert fat into energy by keeping lipid metabolism normal3 — perfect for weight loss goals. Ganeden BC30®: a specially developed probiotic formula. Matcha green tea powder: made using the green tea plant, this natural extract contains important polyphenols. Cinnamon extract 30:1: more concentrated than standard ground cinnamon, it gives you the equivalent of 6g per serving. CLA powder: conjugated linoleic acid — a naturally occurring fatty acid that comes from safflower oil. 2. Glucomannan in the context of an energy-restricted diet contributes to weight loss. The beneficial effect is obtained with a daily intake of 3 g of glucomannan in three doses of 1 g each, together with 1-2 glasses of water, before meals and in the context of an energy-restricted diet. WARNING: This product is not advised for individuals with swallowing difficulties or for those ingesting with inadequate fluid intake - ensure each dose is taken with 1-2 glasses of water to ensure the substance reaches the stomach. 3. Choline contributes to normal lipid metabolism. 4. Pantothenic acid contributes to the reduction of tiredness and fatugue. 5. Caffeine contributes to an increase in endurance performance. When to take THE Diet? 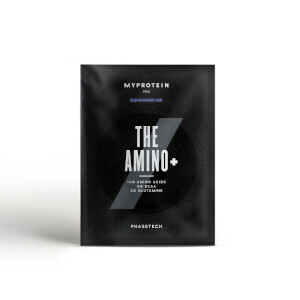 Add 1 scoop to 200ml- 300ml of water in a Myprotein shaker first thing in the morning or 30 minutes before and/or after your workout for maximum benefits. What does THE Diet work well with? Store in a cool dry place, away from direct sunlight. 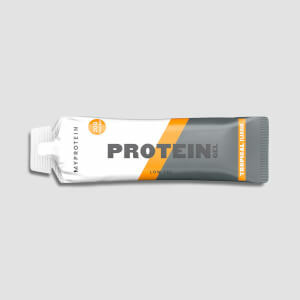 This product is intended to be used alongside an active lifestyle and a balanced diet. Suitable for vegetarians. Vanilla Crème-: Protein Blend (Whey Protein Isolate (Milk) (Emulsifier: Soy Lecithin), Micellar Casein (Milk Protein Isolate), Hydrolysed Whey Protein (Whey Protein Hydrolsate ((Milk))), Flavouring (Flavouring Substances, Sweetener (Sucralose)), Glucomannan (Konjac), Matcha Green Tea Powder (Camellia sinensis L.), Conjugated Linoleic Acid Triglycerides (CLA) (Conjugated Linoleic Acid Triglycerides, Malto-Oligosaccharide, Emulsifiers (Sodium Caseinate (Milk), Mono-and Diglycerides of Fatty Acids), Antioxidant (Sunflower Lecithin)), Cinnamon Extract 30:1, Bacillus Coagulans (Contains Soy), Thickening Agent (Xanthan Gum), DL- Choline Bitartrate, MyZyme ™ (Enzyme Blend; Protease, Amylase, Lactase, Cellulase, Lipase), Pantothenic Acid (Vitamin B5). Chocolate Brownie: Protein Blend (Whey Protein Isolate (Milk) (Emulsifier: Soy Lecithin), Micellar Casein (Milk Protein Isolate), Hydrolysed Whey Protein (Whey Protein Hydrolsate (Milk)), Fat Reduced Cocoa Powder, Glucomannan (Konjac), Flavouring (Flavouring Substances, Natural Flavouring Substances), Match Green Tea Powder (Camellia Sinensis L.), Conjugated Linoleic Acid Triglycerides (CLA) (Conjugated Linoleic Acid Triglycerides, Malto-Oligosaccharide, Emulsifiers (Sodium Caseinate (Milk), Mono-and Diglycerides of Fatty Acids), Antioxidant (Sunflower Lecithin)), Cinnamon Extract 30:1, Bacillus Coagulans (Contains Soy), Thickening Agent (Xanthan Gum), DL- Choline Bitartrate, MyZyme ™ (Enzyme Blend; Protease, Amylase, Lactase, Cellulase, Lipase), Pantothenic acid (Vitamin B5). 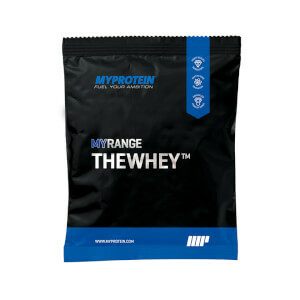 Strawberry Milkshake: Protein Blend (Whey Protein Isolate (Milk) (Emulsifier: Soy Lecithin), Micellar Casein (Milk Protein Isolate), Hydrolysed Whey Protein (Whey Protein Hydrolsate (Milk)), Flavouring (Colour (Beetroot Red), Flavouring Substances, Sweetener (Sucralose)), Glucomannan (Konjac), Matcha Green Tea Powder (Camellia Sinensis L.), Conjugated Linoleic Acid Triglycerides (CLA) (Conjugated Linoleic Acid Triglycerides, Malto-Oligosaccharide, Emulsifiers (Sodium Caseinate (Milk), Mono-and Diglycerides of Fatty Acids), Antioxidant (Sunflower Lecithin)), Cinnamon Extract 30:1, Bacillus Coagulans (Contains Soy), Thickening Agent (Xanthan Gum), DL- Choline Bitartrate, MyZyme ™ (Enzyme Blend; Protease, Amylase, Lactase, Cellulase, Lipase), Pantothenic Acid (Vitamin B5). Salted Caramel:Protein Blend (Whey Protein Isolate (Milk) (Emulsifier: Soy Lecithin), Micellar Casein ((Milk) Protein Isolate), Hydrolysed Whey Protein (Whey Protein Hydrolsate (Milk)), Flavouring (Colour (Plain Caramel), Flavouring Substances, Sweetener (Sucralose)), Flavouring Preparations), Glucomannan (Konjac), Matcha Green Tea Powder (Camellia Sinensis L.), Conjugated Linoleic Acid Triglycerides (CLA) (Conjugated Linoleic Acid Triglycerides, Malto-Oligosaccharide, Emulsifiers (Sodium Caseinate (Milk), Mono-and Diglycerides of Fatty Acids), Antioxidant (Sunflower Lecithin)), Cinnamon Extract 30:1, Bacillus Coagulans (Contains Soy), Thickening Agent (Xanthan Gum), DL- Choline Bitartrate, MyZyme ™ (Enzyme Blend; Protease, Amylase, Lactase, Cellulase, Lipase), Pantothenic Acid (Vitamin B5). *The nutritional information is based on the Strawberry Milkshake version, when choosing an alternative flavour the nutritional values may vary. Ready to mix protein powder blend with added Konjac glucomannan, conjugated linoleic acid , choline, vitamin B5, green tea ,cinnamon extract,enzymes and Bacillus coagulans. Flavours with sweetener.